I (John) was very lucky to be sent on a trip to Navarino Island in the Cape Horn archipelago. 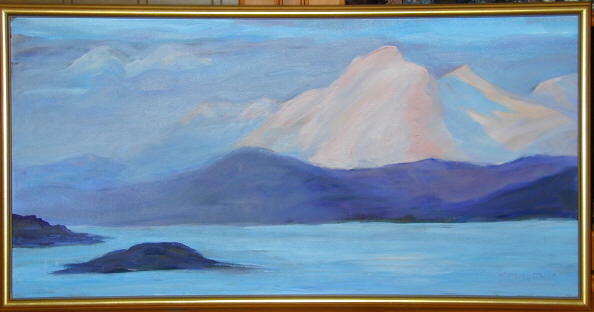 George painted this from photos I took of the Beagle Channel and the island of Tierra del Fuego to the north. It was one of his last paintings. He felt he had lost his skill and wasn't happy with it. We like it very much.